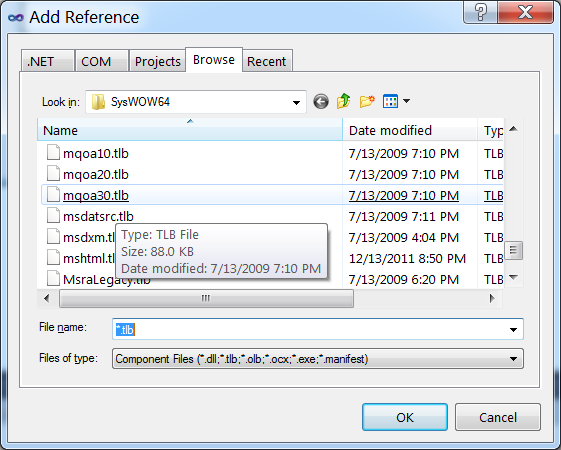 Does anyone know how to add a reference to "C:\Windows\SysWOW64\mqoa30.tlb" in Visual Studio 2010 like you can in Visual Studio 2008? 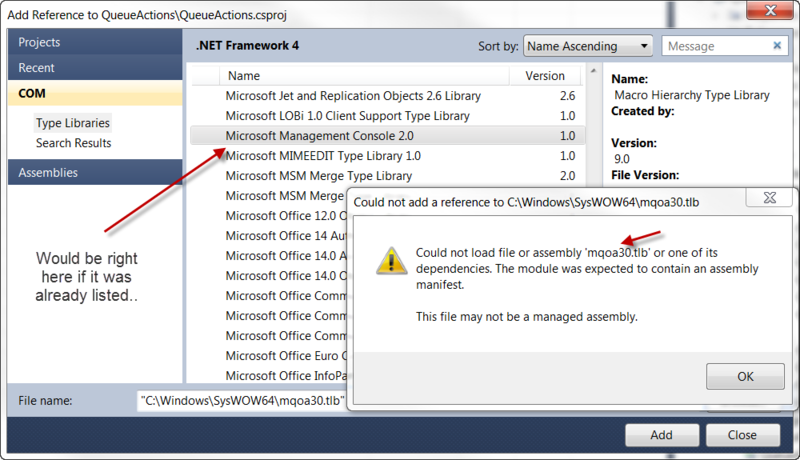 Could not load file or assembly 'mqoa30.tlb' or one of its dependencies. The module was expected to contain an assembly manifest. This file may not be a managed assembly. 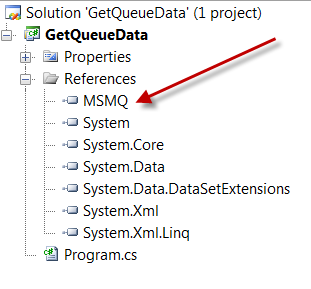 Cannot add from the Add Reference Dialog and "Microsoft Messaging Queue 3.0 Type Library" is not listed already in the COM Type Libraries. If you know how to add the reference can you please tell me? This is what it looks like on my version of VS2010, works fine. No clue what your screenshot might represent, some sort of add-on I guess. How to add a manifest file to a project in visual studio 2010?